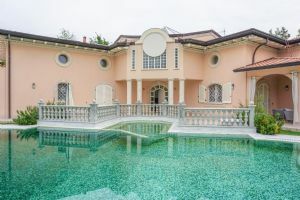 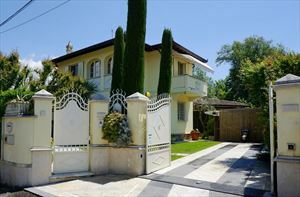 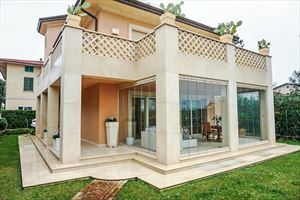 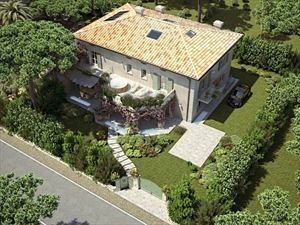 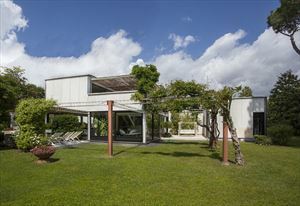 An elegant, detached, three-storey villa (450 m²) with a well-kept garden (1100 m²) and a pool located in Vittoria Apuana, a quiet area of Forte dei Marmi, at a distance of about a kilometer from the sea. 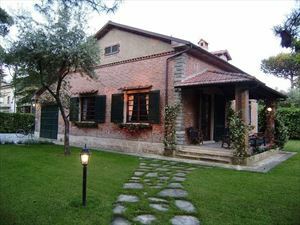 The garden enjoys beautiful rose bushes that surround the villa and its terraces. 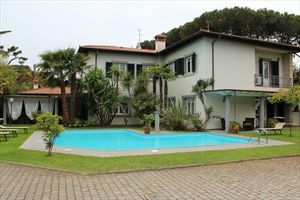 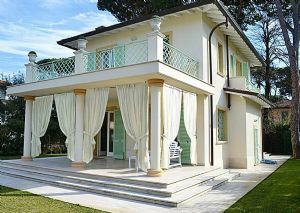 The ground floor comprises a living room, billiard room, kitchen, double bedroom and a bathroom.